History and memories of a one-room country school in Macon County, Missouri. We don't have much information about this time at Bohannon School. 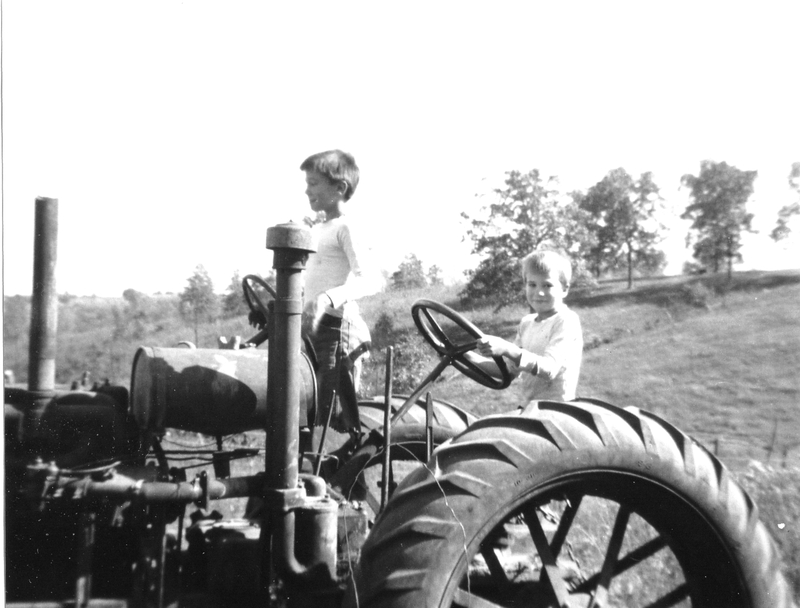 The above picture shows the McCormick Deering 10-10 tractor modified by Joe Trachta for use on his farm. L-R are Mel and Greg Trachta. The second wheel controled an earth-moving blade. The rubber tires replaced the original iron lugs, and the motor is from a 1935 Dodge. They don't make them like this anymore, and never did. The identity of this teacher is speculative. The Macon Chronicle-Herald has contradictory announcements. 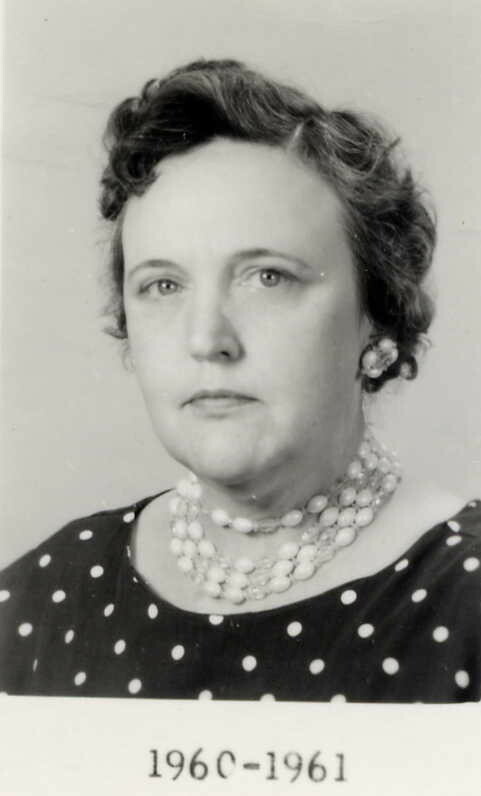 On July 31, 1956, it notes, "Miss Huntsman from near Excello will teach in Bohannon school...." On August 8, 1956, it published a list of teachers in rural schools, noting that the teacher for, "Bohannon No. 115, Mrs. Margaret Hunstman, Jacksonville...." Since we are able to identify a local school teacher at that time named Miss Huntsman, from Excello, and we cannot identify a Mrs. Margaret Huntsman from Jacksonville who taught school, we will tentatively believe the teaher was Miss Willa Fern Huntsman Griffin (1931-1998). She was born in Macon County, evidently living in Excello, and graduated from Macon High School before attending the North Missouri State Teacher's College in Kirksville. We know she taught at the Prairie Dale School, south of Anabel in 1952-53. The Macon Chronicle-Herald notes that she closed the term with a school picnic including wiener roast and awards. She went into her Junior year in May, 1953, and probably graduated in 1954. She married a Mr. Griffin in 1961. By 1989 she was a retired teacher, living in Macon, Missouri, offering private tutoring for grades K through 8. She passed away in Excello in 1998. 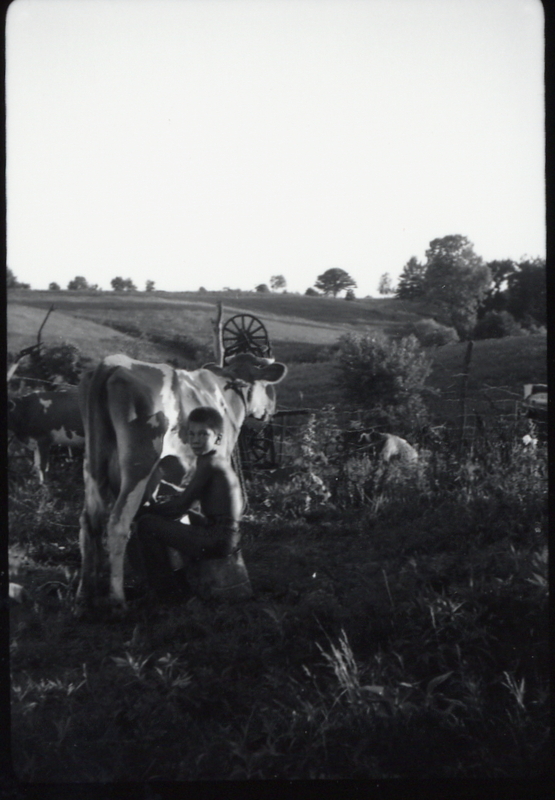 Mel Trachta doing his milking chores, circa 1953. Anyone with memories, information or pictures involving the Bohanon School, or any rurual Macon County school, is invited to share them with us. Looking west from the Trachtas' barnyard, past the Trachta house. Bohannon School is faintly visible on the hill in the background, a quarter mile away. Nothing in this view remains, except for the hills. Please share your memories with us. See the email link above. 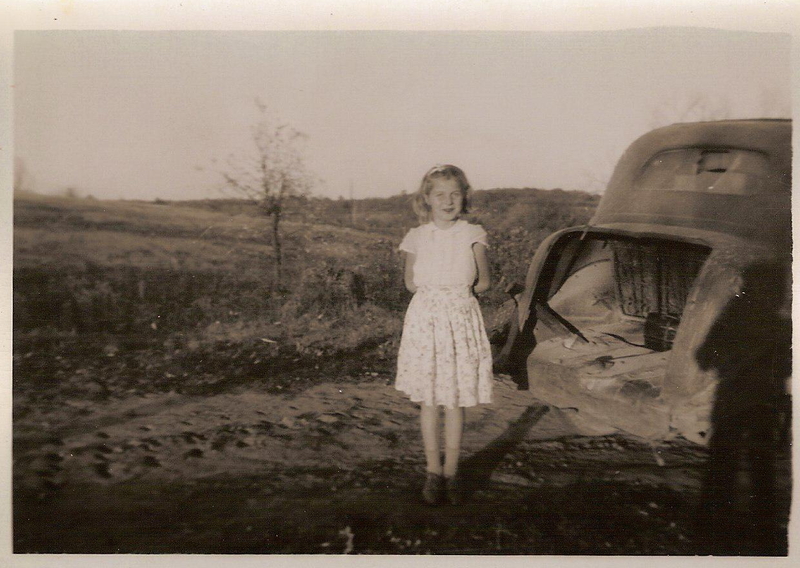 This might be Deanna Hoffman, circa 1952-1953, or some other neighbor.